Below are tips on how to keep your home and family safe this summer. Test your smoke and carbon monoxide detectors, change batteries immediately if needed. Check for overloaded or damaged extension cords, replace where needed. Ensure you have an emergency preparedness kit in case of incidents such as power outages and flooding. Recycle: Get rid of old newspapers, magazines and junk mail. These items tend to pile up and can greatly contribute to the severity and spread of fire. Check and clean filters above stove. Pull refrigerator out and vacuum or dust the coils. Always keep stairs and landings clear for safe evacuation in event of an emergency. Make sure your address numbers are up and visible from the street. Maintain a clear 'fire zone' of 10' around structures. Check outdoor electrical outlets and other electrical appliances for animal nests and to ensure proper wiring. Keep 100' of garden hose with an attached nozzle connected and ready for use. Remove leaves and trash from carports and garages: Combustible materials are dangerous if they are exposed to heated automobile components, especially under the vehicle. Let power equipment sit for approximately 30 minutes before placing it inside to be sure there is no possibility of fire. Some municipalities do not allow open air burning. Always check with your local fire department for questions, instructions and permits. 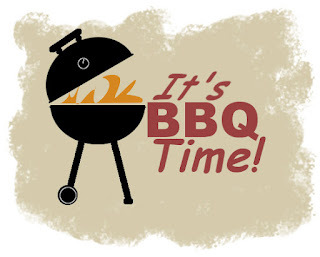 All barbeque grills must only be used outdoors — using grills indoors or in enclosed spaces is not only a fire hazard, but it exposes occupants to toxic gasses and potential asphyxiation. Always position the grill well away from combustible objects — buildings, fences, deck railings and landscaping can easily and quickly ignite. Always use long handled grilling utensils and heat resistant oven mitts to avoid exposure burns from heat and flames. Periodically remove grease build-up in catch trays to prevent it from igniting. Keep a garden hose nearby, connected and ready for use in case of a fire.